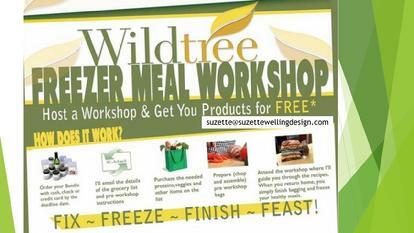 Welcome to Suzette Welling Design. I am a lover of all things creative. My passions include cooking, real estate renovations and design, music, writing & editing, jewelry design, painting … the list goes on. I am a true believer in the book Refuse to Choose. God has blessed me with many interests and talents, and I intend to use them all! I have a passion for helping families to learn to eat a more healthy diet without giving up their love of food. This led to my business with Wildtree. 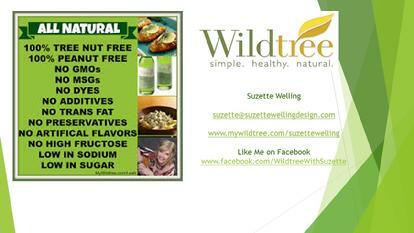 Please click the Wildtree link to learn more! I am excited to be part of Olive Branch m especially excited to be able to do it with an organization who believes in having a family of realtors who support each other instead of competing with each other. Helping families find their dream home is just one more way I fulfill my passion for making people feel good. I can help my customers in every price bracket to make their dreams a reality, as my husband and I also own a renovation and design business. Please visit the links at the left to visit my various website pages. Let all things you do, be done in Love. Former lead singer of Upstate New York's popular country rock band, Brahma, prepares to take Central Florida by storm. Suzette's new solo act will soon show Floridians why her New York fans referred to her as "the voice of an angel." Suzette performs on both piano and guitar with a sound that is uniquely blended by her musician husband, manager and producer, Danny Welling. This multi-talented partnership produces a show that will not disappoint. 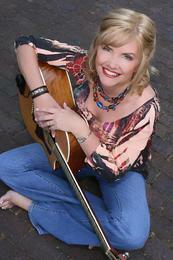 With her own unique style melding rock and blues with contemporary country, Suzette's performance promises to offer something for everyone. Suzette has relocated to Central Florida and will be available for booking in June 2009. Hey we've started booking, so check out our calendar! Sign up for our email list and we will notify you of upcoming events!